Looking for a roofing contractor in Grand Rapids, but aren’t sure who will be the best for the job? At Weatherhead & Sons, we understand that our clients might want to check out the competition before agreeing to do business with us—and that’s okay. We believe that informed clients make the best clients, which is why we have provided a list of questions that can help you find the right roofing company for your next project. In the state of Michigan, it is necessary for roofers to be licensed. If your roofing contractor has a license, we highly recommend checking up on their record at your local licensing office. Keep in mind that a roofing license is different from a regular business license. If the contractor you are considering lacks a roofing license, this means that they are not qualified to handle your roofing project. What's The Physical Location of Your Business? This may seem like a strange question, but it is important nonetheless. Sometimes, roofing companies that aren’t legitimate might try to conduct business out of a post office box, instead of an actual physical location. If you are unable to find the physical location of your roofer, you’re better off moving on. What's Your Proof of Insurance? 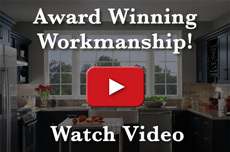 Be insistent in seeing the roofing contractor’s proof of insurance. You will want to make sure that the company possesses both worker’s compensation and liability insurance. That way, if any of the workers become injured on the job, you will not be liable for covering their medical expenses. This should be the responsibility of their employer, not you. In general, the more reputable a company is, the longer they stay in business. Shady contractors come and go, but companies that offer quality service usually become permanent fixtures in the community. If the roofing contractor you are considering has only been in business for a year or so, it may be worth your time to seek out another company with more experience. Checking references is a good way of determining a company’s reputation. However, these testimonies can become skewed when only glowing company reviews are revealed. In order to avoid this common pitfall, feel free to ask for references from their last three jobs. This tactic will also help you get a good read on their current business dealings. For example, a company might have delivered great results during its early years, but might now offer poor quality services due to changes in management. A truly professional company will take all necessary precautions to protect the rest of your yard during roof replacement. While it will be necessary for a dumpster to occupy your driveway so the crew can properly dispose of your old roof, a quality company will go the extra mile to make sure that your yard isn’t left disturbed by their activity. At Weatherhead & Sons, we are always happy to answer any of these questions, or any additional questions you come up with. If you are interested in hiring us for your next roofing project, please feel free to contact us at our Grand Rapids office at (616) 785-8080. 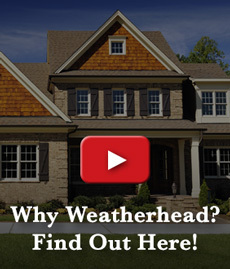 At Weatherhead & Sons, we pride ourselves on helping clients enjoy weatherproof homes through a quality roof.